Metro Technologies is an Authorized Apple Service & Sales Center. Our mission is to provide high quality and affordable computer repair, home and business PC support, training, wireless network setup, server support and printers. 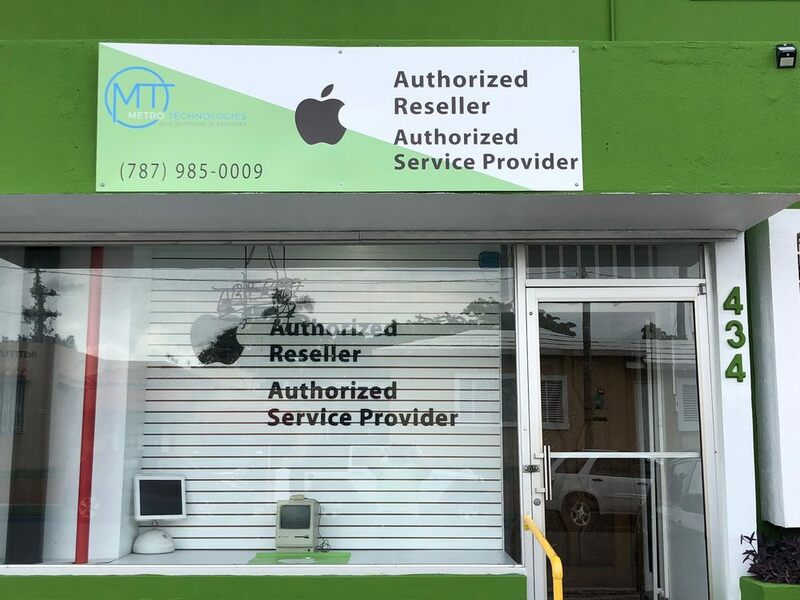 We’re one of the best support companies in Puerto Rico that offers Apple computer repair and support services. Our technicians can help you with any hardware and software problems you may have for all Apple Mac products. Also, we services Hewlett Packard, Dell and Clone computers. Our highly trained staff provides timely and cost efficient service, oftentimes sacrificing added earnings to Metro Technologies by suggesting alternatives, which are in the client’s best interests. If you need a service contract, we at Metro Technologies are particularly sensitive to the quality of service that must be provided on a consistent basis and the importance of doing so to each client’s satisfaction. The need for uninterrupted computer service has never been greater, a fact that we are keenly aware of, as we provide service for some of Puerto Rico’s most successful corporations as well as to the one computer operator whose firm’s livelihood may well depend upon uninterrupted service.